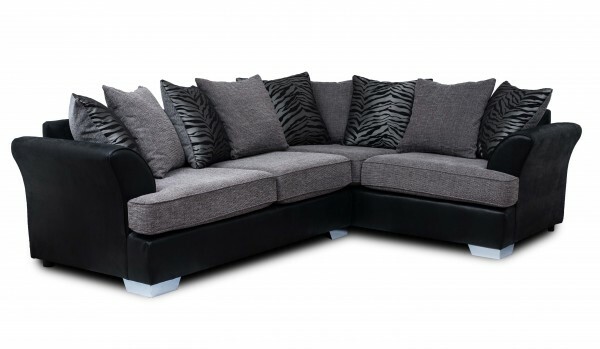 The black and grey Quatrz corner fabric sofa has a scatter back and is big enough for the whole family to cosy up on. This sofa would look perfect in your room. Sit and relax with our perfect weekly price.